Almost every house hould in Japan has a donabe like this. Use for hotpot evenings, stews and braised recipes. SKU: NM-33 Categories: All Purpose Donabe, Donabe Pots Tag: Medium donabe Share: Brands: igá-monó. 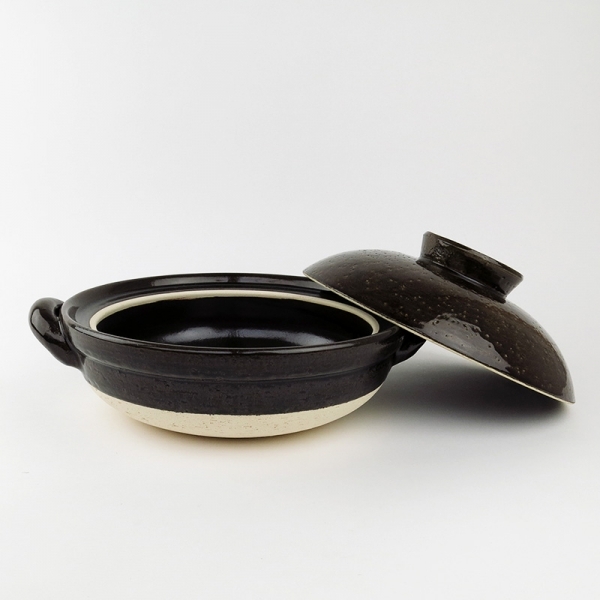 Igā Donabe Ame-Yu is a typical classic, all purpose donabe, and it’s name Ame-Yu refers to the glaze used. 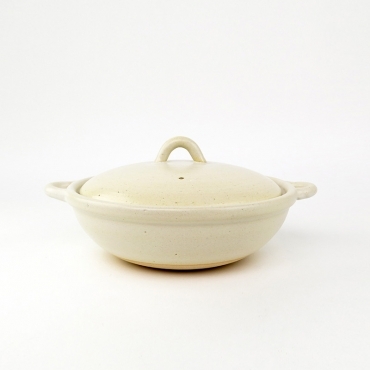 This type of donabe, with its curvy form, is most used to cook a hot pot (i.e. nabe) on a tabletop surrounded with family and friends. 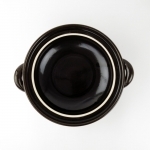 You can use this classic style donabe for stewing and braising. 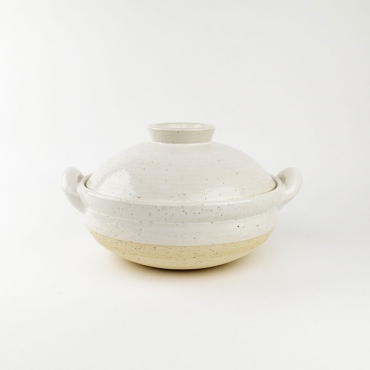 Igā Donabe Ame-Yu is a special glaze. 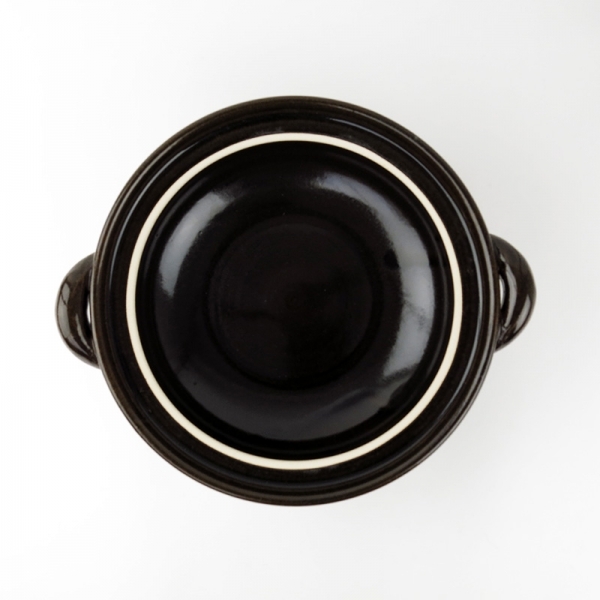 Used for a long time at the Nagatani-en for their donabe collection, this type has been one of their longest and best sellers. 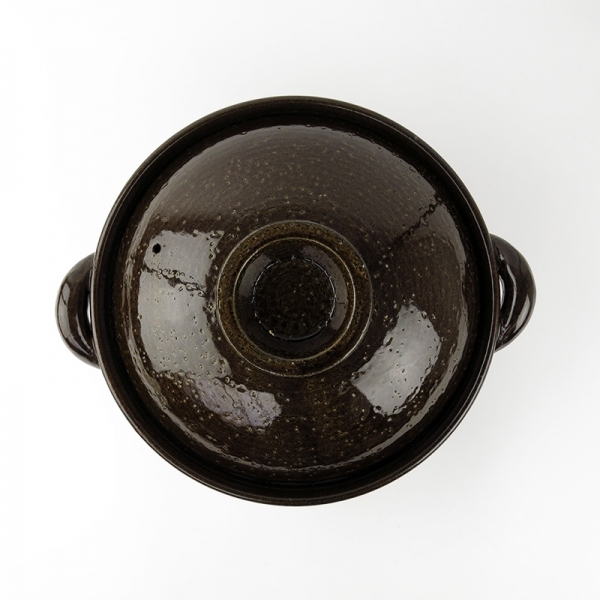 The Ame-Yu glaze has shiny deep amber color. Use this classic style donabe to stew and braise on your gas stove, and serve directly from the donabe on the table. 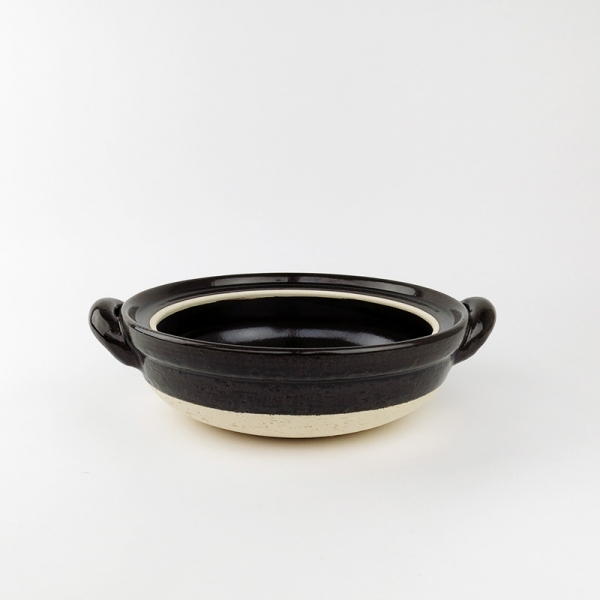 Or gather around the donabe at the table with your friends and family. 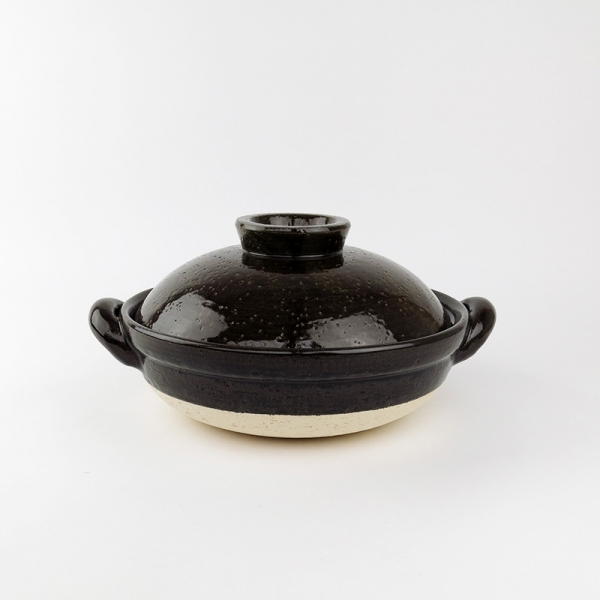 Entertain your guests an entire night eating the several courses of a nabe meal with the donabe pot over a portable gas burner. 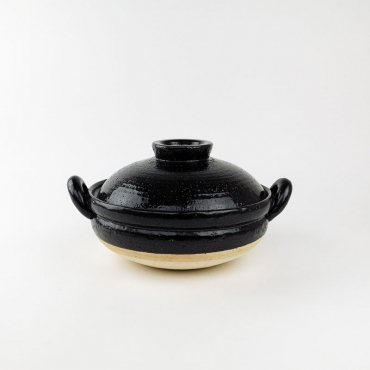 Besides Takei-Moore’s entire Donabe Cookbook, Singleton-Hachisu also dedicated a chapter to Nabemono, or hotpots. 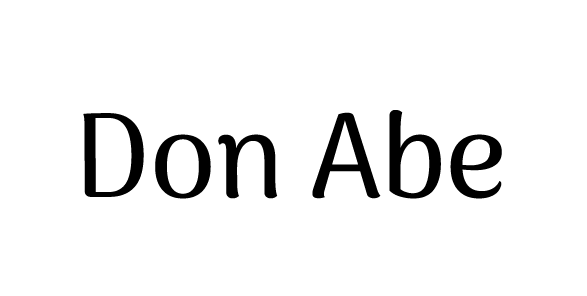 In her cookbook, Singleton manages to demistify Japanese cooking techniques. According to her “Nabemono is also the entertaining dish of choice with young people, because it is effortless to put together (cut up some ingredients and bring it to the table), affordable (depending on the meat or fish), and everyone can participate in the cooking which makes it fun”. Her Nabemono recipes include Chicken and Seafoon Nabe, Crab and Miso Nabe and Miso Simmered Pork Belly and Green Pepper. 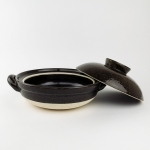 The Igā Donabe Ame-Yu is suitable for 3-5 people.